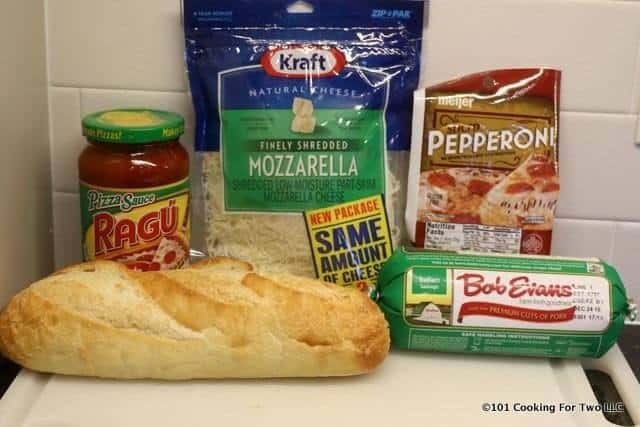 Great tasting French bread pizza perfect for that quick evening meal or a party. And at only 20 minutes, it’s faster than a speeding pizza dude. Publisher Note: Originally Published November 15, 2015. The photos have been re-edited. The discussion has been rewritten and expanded. We all need a fast meal at times, but there is no law against it tasting great. 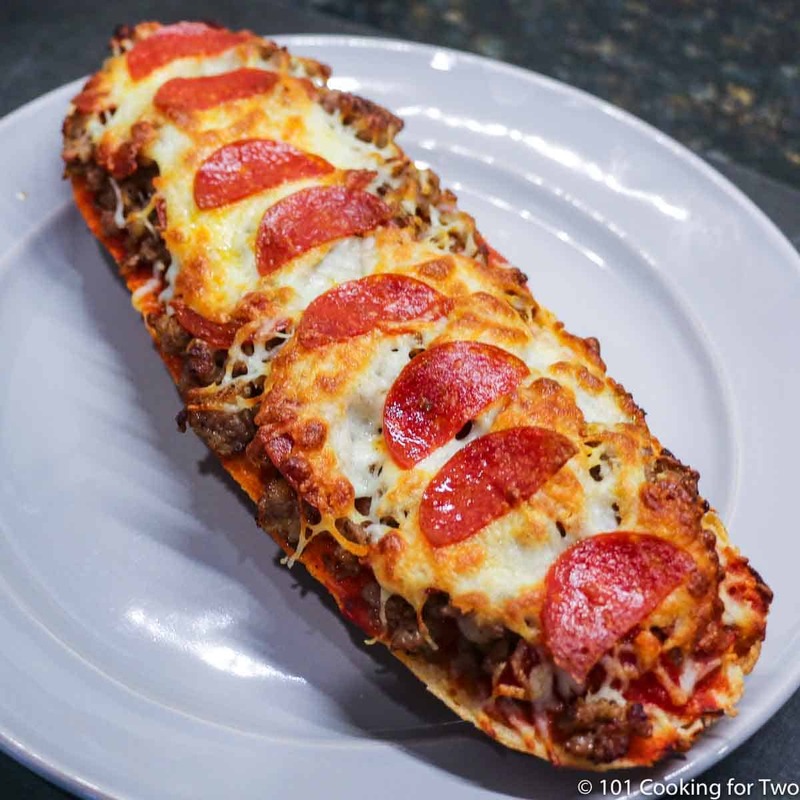 You have seen French bread pizza but never really thought about doing it yourself. So let’s see how simple it really is to do. 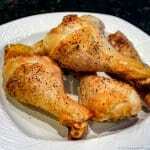 This recipe also works great as cut up finger food for parties. A do love pizza, but this was just excellent and very little work. Wifo was a solid five also. You need a nice french bread. This will be half the taste, and bland white bread just won’t do. You need to know your baker. Don’t buy the cheap stuff. You want something that tastes outstanding which come from some nice gluten development. 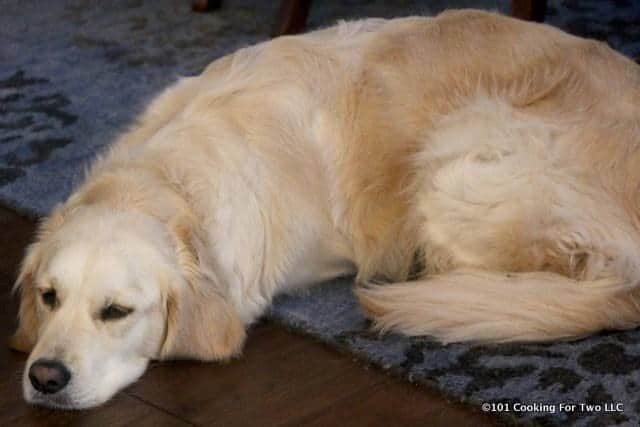 Some French bread has a harder crust. 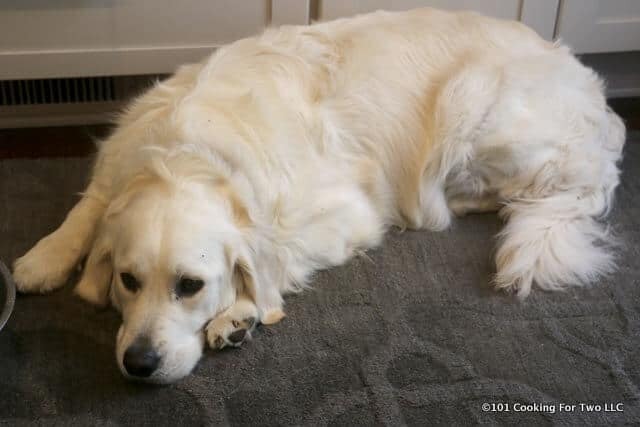 I would opt for a bit softer crust for this recipe. For my “cooking for two” meal, I used about 1/2 cup of pre-made pizza sauce for the two 9-inch pizzas. If you’re doing a large amount for a party, it may be worth making your own. My homemade sauce recipe: One 6 oz can of tomato paste and 6 oz water. 1 teaspoon salt, 1/2 teaspoon pepper, 1 clove garlic, and 1/2 teaspoon oregano. This will make about 1 1/2 cups of sauce which is three times what I use here for two 9 inch pizzas so you can judge from there. It will freeze well. Be careful about the amount of sauce. The bread will act like a sponge and absorb it. You want some taste, not a sloppy mess. A little too little is better than too much here. I’m traditional so Italian sausage and pepperoni for me. Please note in the pictures that even my normal size pepperoni is cut in half. Remember your space is limited and toppings tended to get out of control so only one or two will do. Also, don’t use anything that will release a lot of fluid like pineapple. 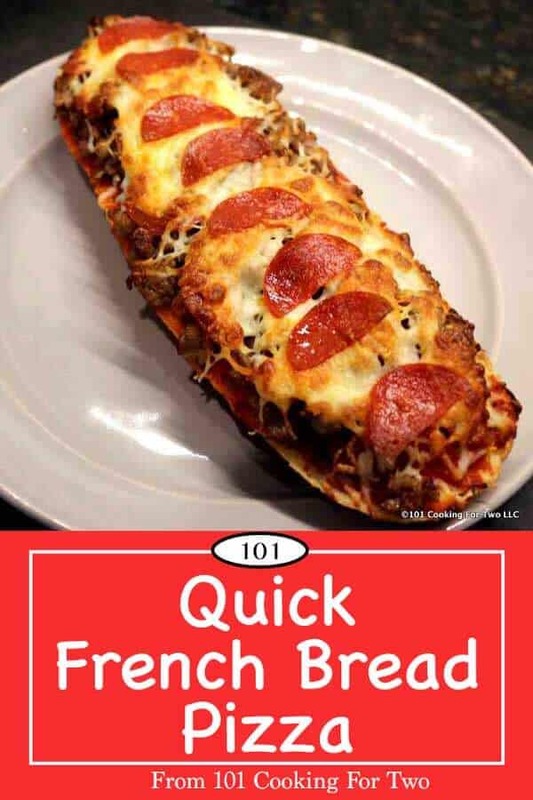 How long to bake French Bread Pizza? About 10 minutes at 375 degrees convection or 400 degrees conventional oven. The browning of the cheese will tell you when done. A larger pizza will take slightly longer. Preheat oven to 375 convection or 400 conventional. While preheating, you should have time to do the preparation of the pizza. 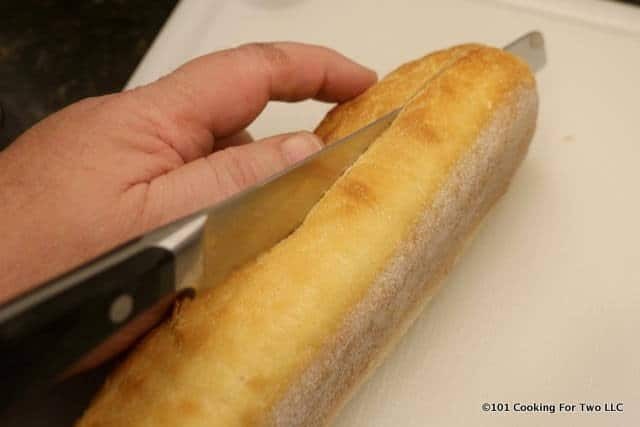 Slice a loaf of French bread horizontally. I used a 9-inch baguette, but any length should be fine. A sub bun would work also. But the quality of the bread will determine your taste. Prep toppings. 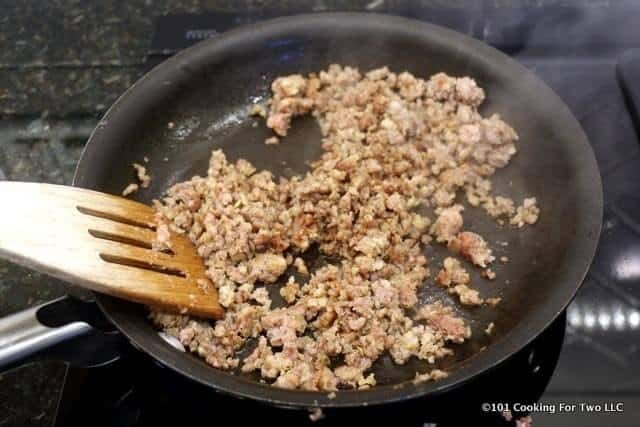 I browned 1/2 pound of Italian sausage and drained well. Plus I cut some pepperoni in half. Top with sauce. It took about 1/2 cup. Bake on middle rack until nicely browned. About 10 minutes. 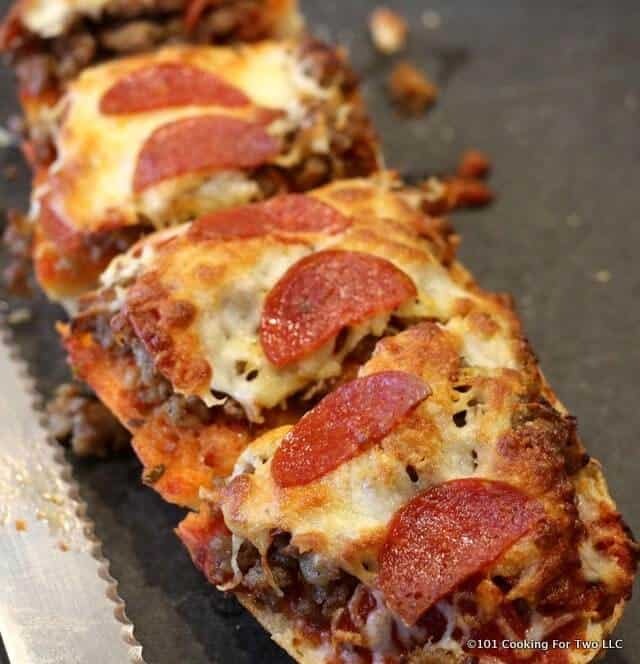 Great tasting pizza perfect for that quick evening meal or a party. And at 20 minutes it's faster than a speeding pizza dude. 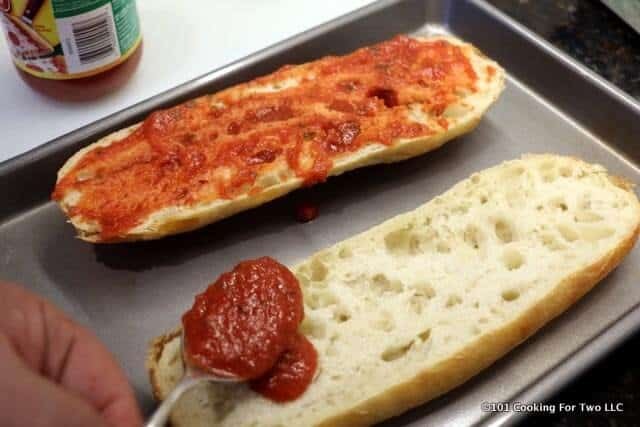 Slice a loaf of French bread horizontally. I used a 9-inch baguette, but any length should be fine. A sub bun would work ok also. But the quality of the bread will determine your taste. Prep toppings. I browned 1/2 pound of Italian sausage and cut some pepperoni in half. Top with sauce. It took about 1/2 cup. Add toppings. Add mozzarella cheese. If doing a larger amount, it is worth time doing your own sauce. My homemade sauce recipe: One 6 oz can of tomato paste and 6 oz water. 1 teaspoon salt, 1/2 teaspoon pepper, 1 clove garlic, and 1/2 teaspoon oregano. This will make about 1 1/2 cups of sauce which is three times what I use here for two 9 inch pizzas so you can judge from there. 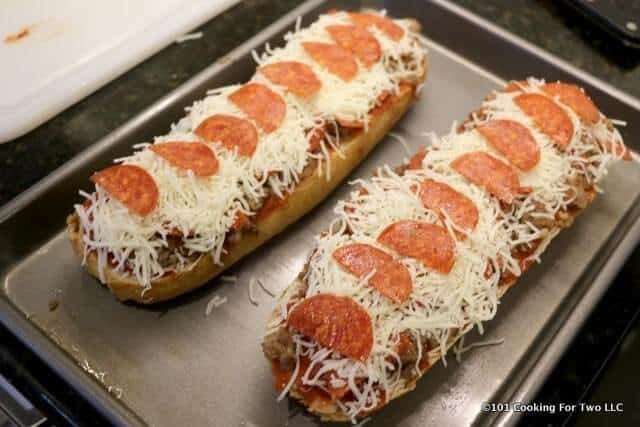 Great for a pizza party for teens. They can prepare as they wish. The results are very dependent on the quality of bread. Delicious!!!! Everyone flipped over it!! 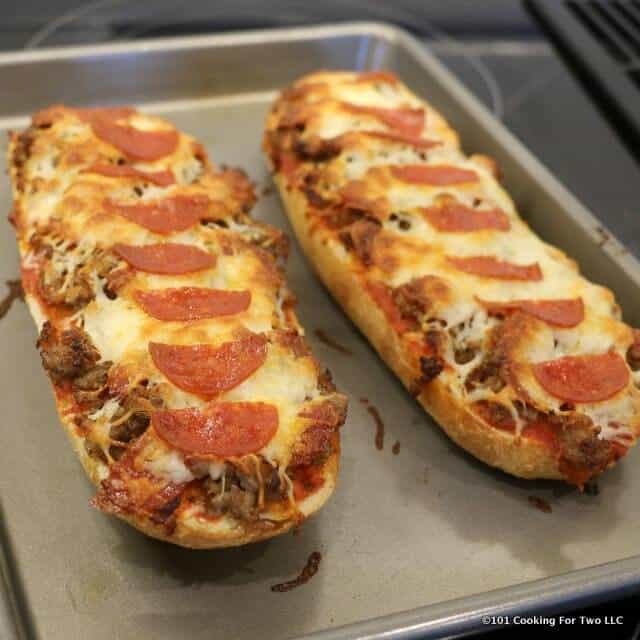 I am from Louisiana so a loaf of French bread made this perfection! 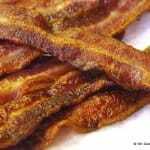 Light, crispy and chocked full of taste! Yet another winner, Dr. Dan!! Going back to try another recipe of yours! Thank you! Yep – another great one. 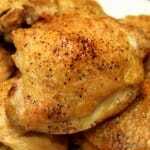 Super to easy to make in a pinch and very delicious! Thanks, Dr. Dan. You know I just switched to a Mac and the spell check is just killing me… it decided to mis-spell my name. Nope, still a basically empty page.